Beijing, (China Daily) September 25, 2018 – Policymakers are considering changing the syllabuses at Chinese elderly universities, education centers that target senior citizens, to include more practical courses, equipping retirees with a modern skill set in response to the nation’s rapidly aging society and shrinking labor force. The idea has been welcomed by retirees who want to re-enter the workforce, but a lack of legislation is impeding changes at the schools, experts say. 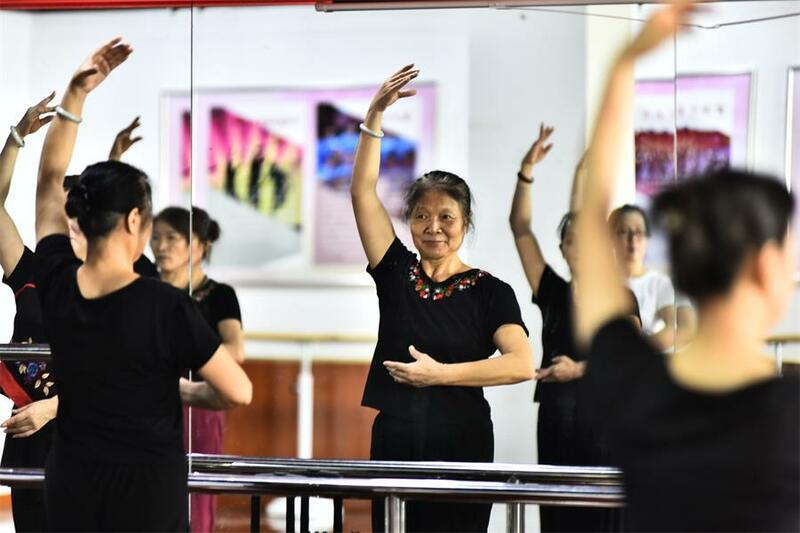 China’s universities for seniors cater to people over 60 and usually provide courses on traditional arts and culture such as calligraphy, painting and Chinese chess. These are geared toward cultivating hobbies for retirees who may be vulnerable to loneliness or psychological problems. However, central government authorities are looking into adding more knowledge- and skills-intensive classes to their curricula to improve seniors’ employment opportunities, according to Diao Haifeng, head of publicity for the Office of the National Working Commission on Aging. Students’ contribution to society will be incorporated into a university’s assessment, a move that could be first implemented in 176 model elderly universities nationwide as soon as next year, he added. China had more than 149 million people age 65 or older in 2016, according to the National Bureau of Statistics. The elderly dependency ratio — the proportion of seniors supported by working-age people — was 15-to-100. According to the Ministry of Human Resources and Social Security, experts predict the number of people age 60 and over could reach 500 million by 2050. By that time, the elderly dependency ratio will be 10-to-13, they say. In China, the general mandatory retirement age for men is 60 and for women, 55. There are no laws or regulations to protect seniors’ rights to be employed again. This means they can be turned down for a job simply due to age, and also can be treated unequally in terms of pay. Lin Jianguo, 64, who retired from Nantong Port Group as a cargo ship captain in 2014, said the proposed changes would be welcome given that many skilled workers retire at the peak of their expertise. They crave updated knowledge to enable them to rejoin the workforce despite the difficulties, he said. Lin voiced concern about seniors who want a job but could easily be replaced by younger people, given that there are no laws to prevent discrimination. Ji Ying, 61, is also studying singing at a university for seniors in Hefei, Anhui province. She said changes in the syllabus are necessary because courses focusing on the needs of the elderly are in short supply. Dang Junwu, deputy director of the China Research Center on Aging, said elderly human resources, which are underdeveloped in China’s urban areas partly due to the low retirement age, have advantages over the younger workforce by being inexpensive and stable. “But to exploit the elderly workforce, there should be more than just a change in curriculum,” he said, referring to laws and policies that are lacking.